question says that it will be using a transnational database , so the answer should include any RDS or DB Solution so i don’t think that (a) is the right answer , what do you think ? The Key point in the question is elastic and scalable web tier. Is it not asking for Database so #A is the right answer which includes Load balancer, Auto scaling and EC2 instance. Glad its helping Shivam ..
Hi , Thanks for listed out the important points on aws services with respect to exam point of view. I believe reading your pages would suffice to clear main exam rather than reading faq or docs . So the questions what listed our here are from main exam ? Hi Snethil, most of exams are picked from various forums and sites and where very well part of the certification exams. Reading through will surely help as it covers most of things needed to get through the exams. 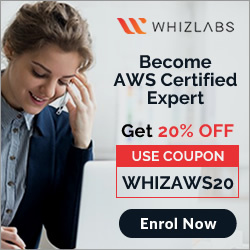 I have completed AWS Solution Architect exam with 89%. Your blog was really useful to prepare this exam. Thanks a lot !!!! I am planning for SysOps. Do you have any blog for the same ? Congrats Santhil … thats Great ..
Blog covers most of the stuff for Solution Architect and Sys Ops. Only thing missing is the CloudFormation, Opswork part. Can you help answering below question ? 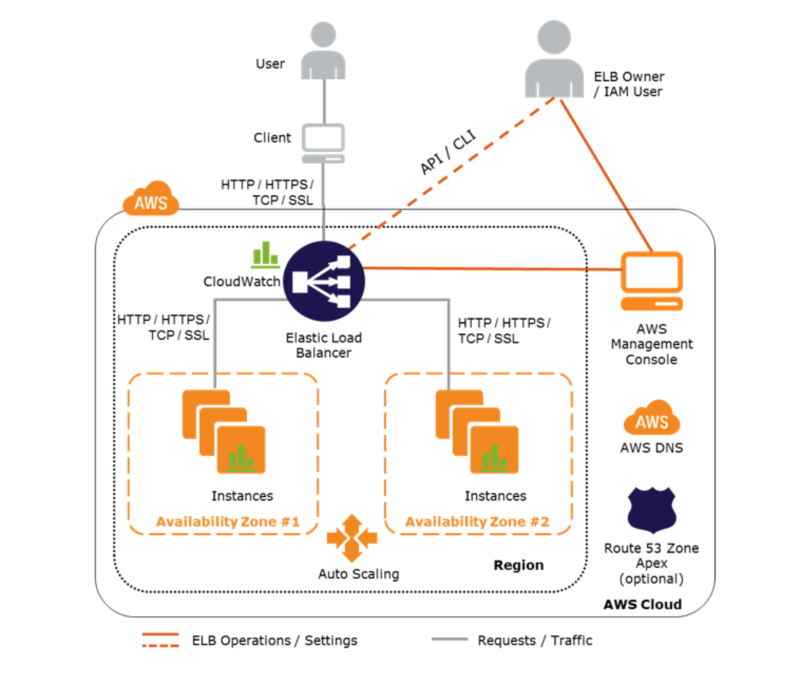 You need to design a VPC for a web-application consisting of an Elastic Load Balancer (ELB). a fleet of web/application servers, and an RDS database The entire Infrastructure must be distributed over 2 availability zones. Which VPC configuration works while assuring the database is not available from the Internet? I think answer should be B. ELB can route traffic across AZs and it itself is scalable and highly available. Am I missing something? ELB by itself will also launch an instance within the mapped subnets. If only subnet (AZ) is associated with ELB and it does down, the ELB effectively goes down. So it is a best practice to associate ELB with multiple subnets for High Availability. Thanks Vijay, my bad it is incorrectly marked. D gives more options as in the kind of blue/green deployment. For A the health check if already passing so does not make sense. Hi Jayendra, thank you for these resources. 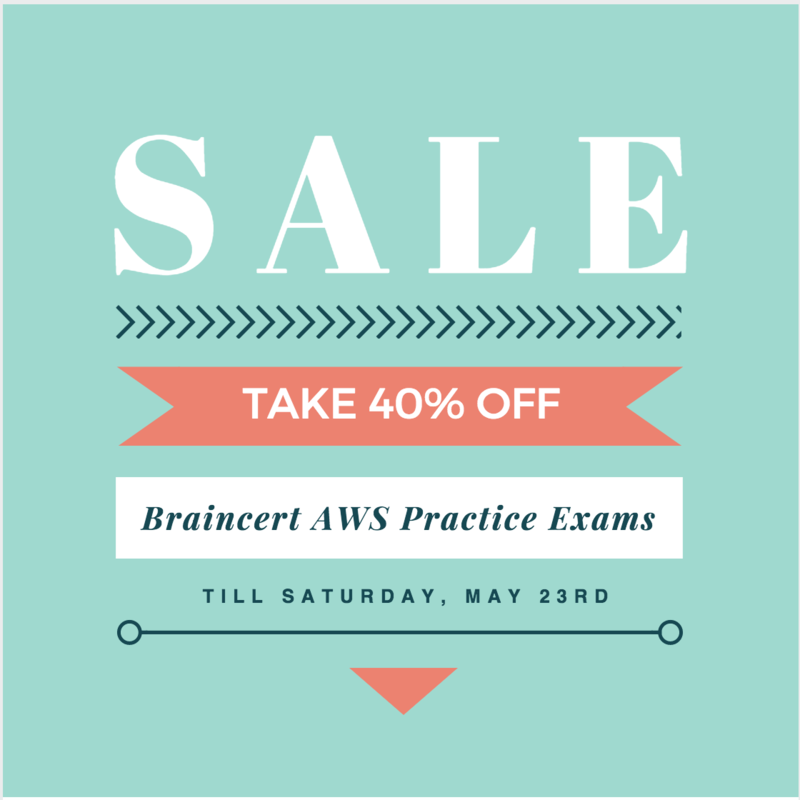 Question: Your Solution Architect Associate exam blueprint doesn’t directly reference this “AWS Auto Scaling ELB” blog post/link as part of the CSA exam. However, the blueprint does reference the “AWS Auto Scaling” blogpost, and that blogpost in turn links to this “AWS Auto Scaling ELB” blogpost. There are other examples of this sort of linkage. In cases like that, does the “AWS Auto Scaling ELB” blogpost need to be studied for the exam? Or only the ones that are directly linked from the exam blueprint? I have tried to link to the same topics and all associated topics in the mail topics are equally important. For e.g. ELB and Auto Scaling are different topics, but they work together and lead to a bigger topic, thats why I have a separate blog post. But you need to go through it. Scheduled Scaling, which would help scale ahead of time. I think before 30-40 days. Rest are on the spot scaling. But the question need to choose 2 answer, please help me. Metrics based seems the other right option for Dynamic scaling based on Event. Rest of the options do not make sense as Change in the desired capacity would have an immediate impact. Cooldown period and health check grace period are parameters or configurations that will impact scaling. Hi Jayendra, can you please provide some explanation on Q4. the healthcheck is already configrued with ELB so did not get why 4b will be the right answer .. Thank You so much for your wonderful blog. Words cannot express the gratitude I feel. I don’t know how the overall readers feel about this but in my opinion it would really help if the answers are provided at the end like an answer key instead of highlighting the correct answers. Like I said what you are doing is priceless.. taking selfless to a whole new level. Thanks SG for the feedback and I have been getting it for quite some time. I am not been able to check on a proper plugin to do the same. Would try to check on the same, once i have some time. Thank you Jayendra! It helped me lot to prepare for my exam. Hoping to see more such blogs from you. In question no.2 why other options i.e a,b & d are not the right answer can u plz give reasons for each option in detail? websites, APIs, video content or other web assets through CDN caching. Option B is wrong as CloudTrail is more of an auditing service. Option D is wrong as Elastic Beanstalk with not help balance load over instances.